For many years, Limo Anchorage has been the go to company for special occasion transportation in the area. Since this company was established, the owners and chauffeurs have worked to be as accommodating as possible for their customers. This means being available at any hour, for any event and being knowledgeable about the city and the surrounding areas. When you would like to book a limousine to get you to a party or to your wedding venue, this company is always there with excellent service and cheap rates. VLS Limos is a company that was originally established in Southern California, but in 2009, they expanded to offer complete transportation services in Anchorage and the surrounding areas. With a beautiful fleet of vehicles and expert drivers, there is no one better to get you to your destination safely and on time. You can also hire prom limos or arrange a ride for your wedding day. In any case, this team will be accommodating to your schedule, the kind of event you are going to and to your budget too. 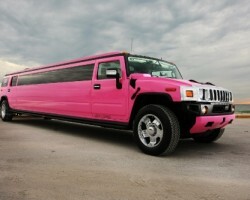 Pink Limo Party is a company that offers their customers the chance to turn heads and make an entrance in a pink Hummer stretch limo. This is one of the only limo companies in Alaska that offers such a unique and exciting transportation option. This service has been used for bachelorette parties, special occasions and weddings in the area. With a professional and reliable chauffeur as well as affordable prices, there should be nothing holding you back from hiring this company. 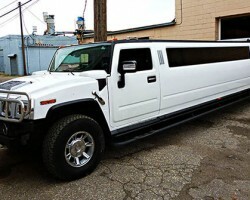 Limojo Limousines is one of the best companies for limo rentals in Anchorage, AK. You can opt for a town car for airport transportation or a stretch limo to take you out on the town. This company has a varied fleet for you to choose from, which means you can have the perfect ride to suit your occasion. 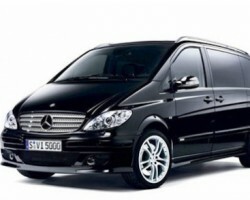 This is great for wedding transportation as you will be in the hands of a professional that has years of experience. This chauffeur will care for your needs before and during the journey so you can really relax.